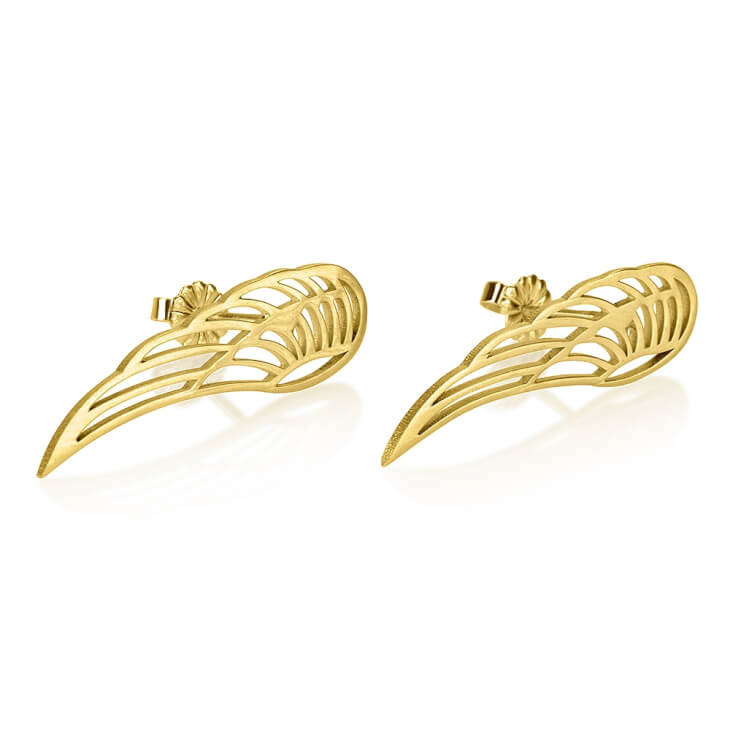 These wing stud earrings are a perfect mix of understated and edgy style, a great addition to any look to dress up any outfit. 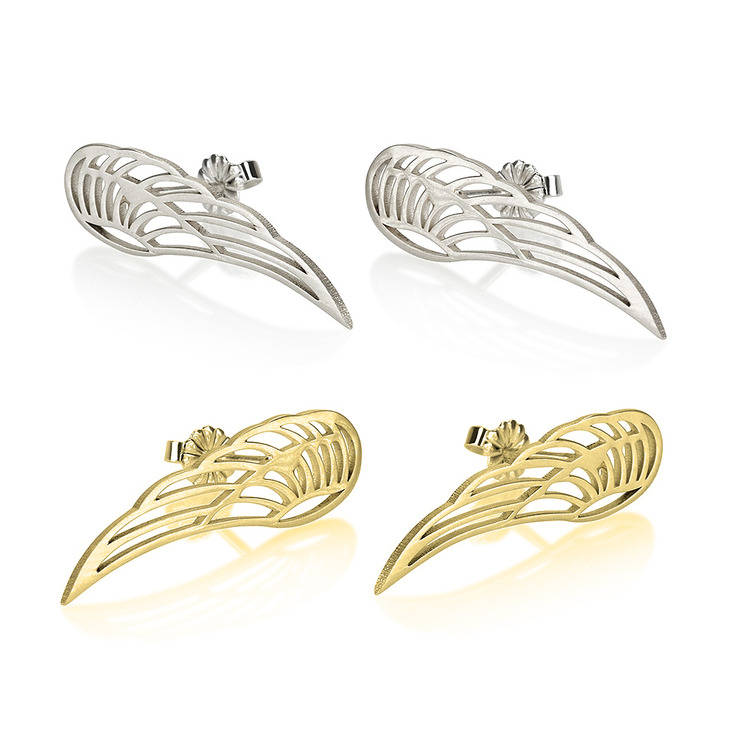 Select this graceful cut out wing design in your choice of rose gold plating, 24K gold plating, or solid sterling silver, these will definitely be the go-to accessory in your collection! 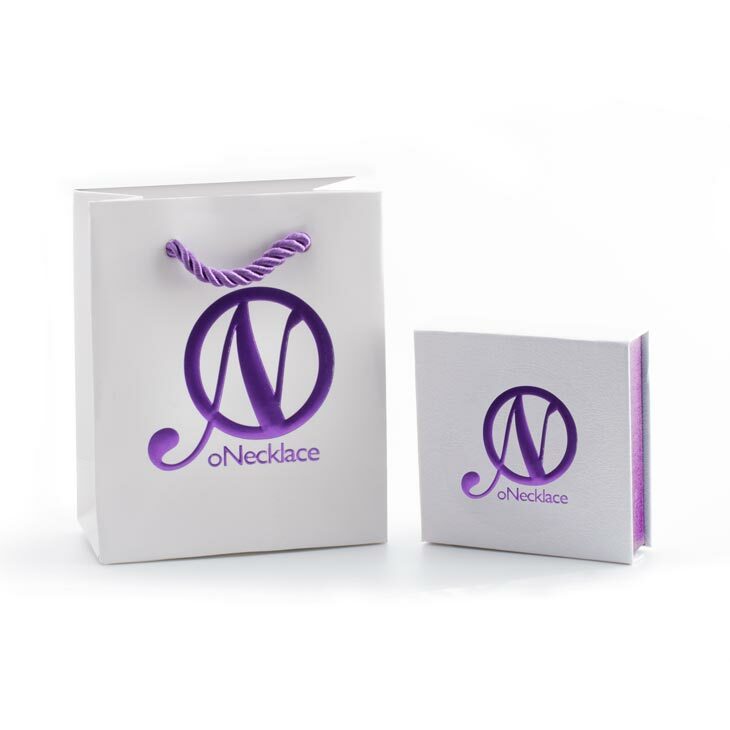 Even better, you can pair with this Angel Wing Necklace for the ultimate coordinated look, or give this as the perfect dainty gift for somebody special in your life. 31.5mm x 9.5mm / 1.2" x 0.4"